Gone are the days of a simple tennis ball being good enough for Fido, or a feather on a stick enough to capture Puss’s attention. This is the modern age, where technology and animal science are revolutionizing how we play with our dogs and cats. Here are five new generation pet toys to take your pet into the future! FroliCat manufacture interactive, high-tech toys for cats. They gained popularity initially with their FroliCat Bolt, a laser toy that automatically projects random patterns over the walls, floors and furniture that cats love to pounce on and chase. They soon followed with other inventions that allow cats to play when their owners are busy. 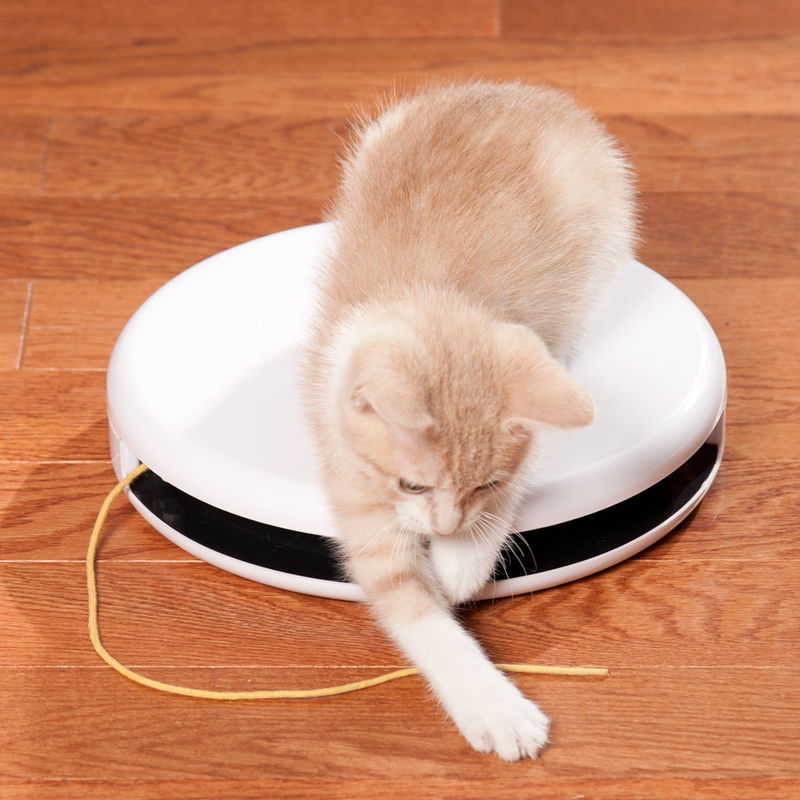 FroliCat Flik is a yo-yo like robot that throws out a piece of string and then reels it back in. Cats are entranced trying to hunt the yellow string and capture it before it pops back to ‘hide’ in the toy. 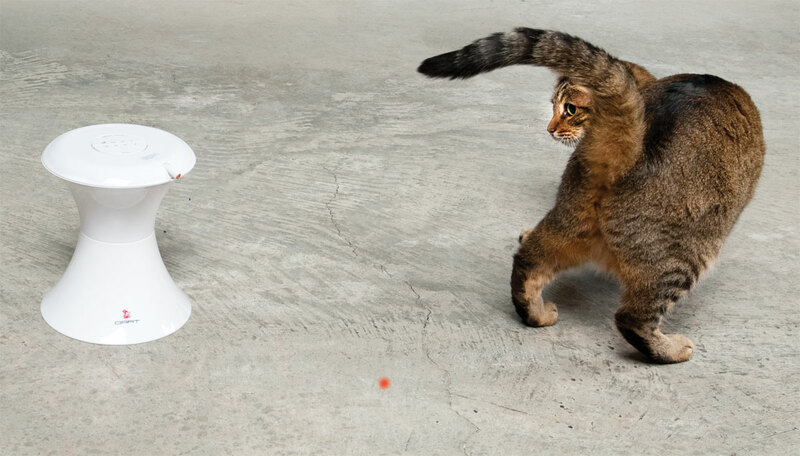 FroliCat Twitch simulates live prey, bouncing and flicking a teaser toy for cats to hunt and battle. 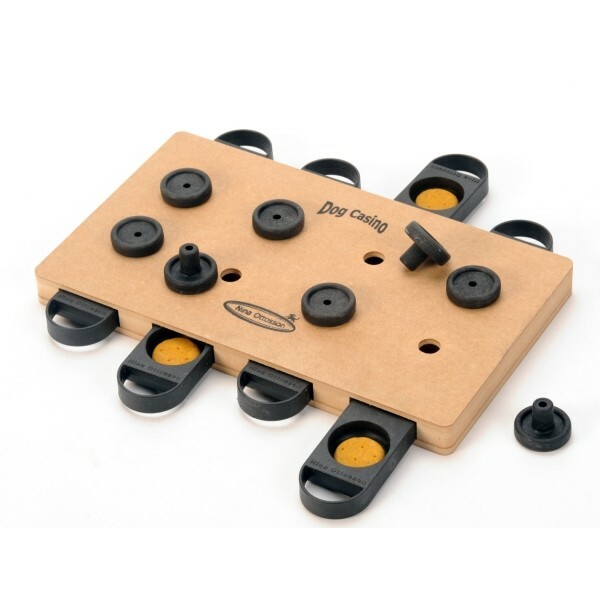 It can be programmed to activate for a single session, or at multiple times throughout the day so your cat can play chasing games when no one is home. Since their creation, the company has found dog, ferret, rabbit – and even spider – owners have found their pets enjoy the toys as well. Pet owners often feel guilty leaving their pets at home especially when they pull sad faces and slink around dejectedly when they know they are leaving for the day. PetCube is a recent innovation which allows owners to play, talk to and monitor their pets remotely – all from their smartphone. 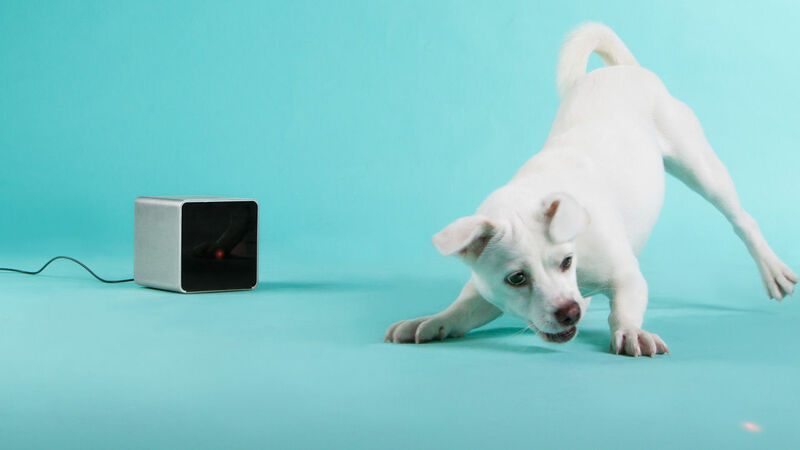 The device allows a person to watch their pets through a camera, play with them using a low-intensity laser pointer, and talk to them through a speaker all housed in the cube. The PetCube lets the owner’s friends digitally look on and play with the pet as well. Nina Ottoson specialises in creating toys that twist and stretch the minds of pets. 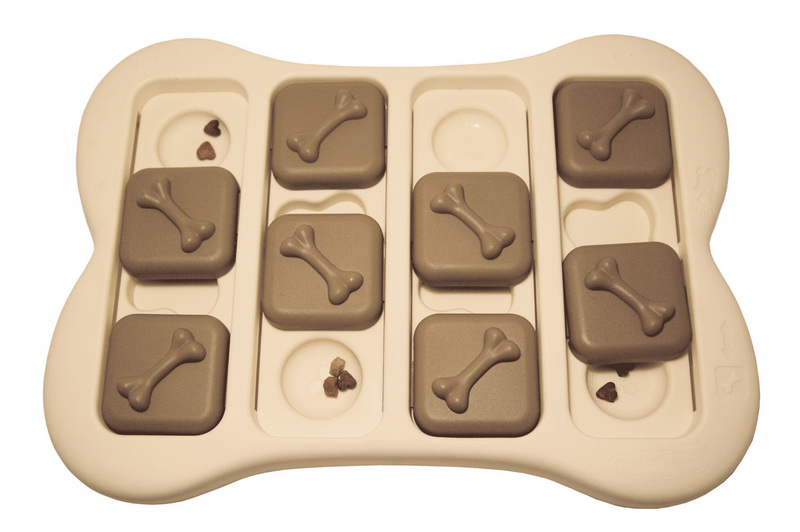 Toys like Dog Smart and Dog Brick hide treats beneath bone decorated blocks. Your dog or cat must discover which blocks hide treats, and push them off with their nose and paws for their reward. Dog Tornado is a pet feeding bowl that has five levels that rotate. The dog has to manipulate the levels to locate the areas the owner has chosen to hide treats. Dog Casino Wood is for the brainiac pet. Drawers must be pulled out in different directions to locate the reward. Often times the owner’s arm gets sore before the dog is tired of playing fetch. Go-Go Dog Pals solves that problem, and lets dogs play to exhaustion while their owner sits relaxed on a park bench. 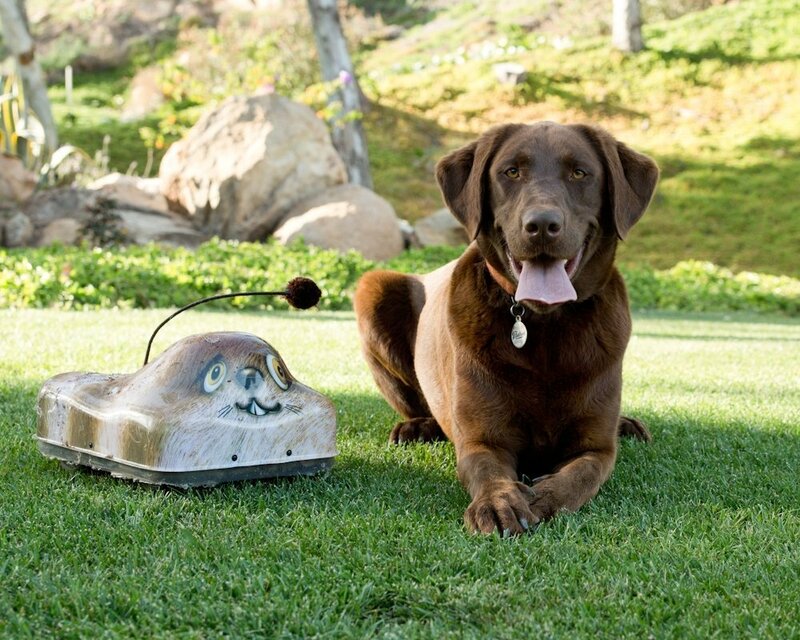 Operated using a long-range remote control, the Go-Go Dog Pal toy zooms over the ground, stimulating your dog’s hunting instincts while giving it great exercise. 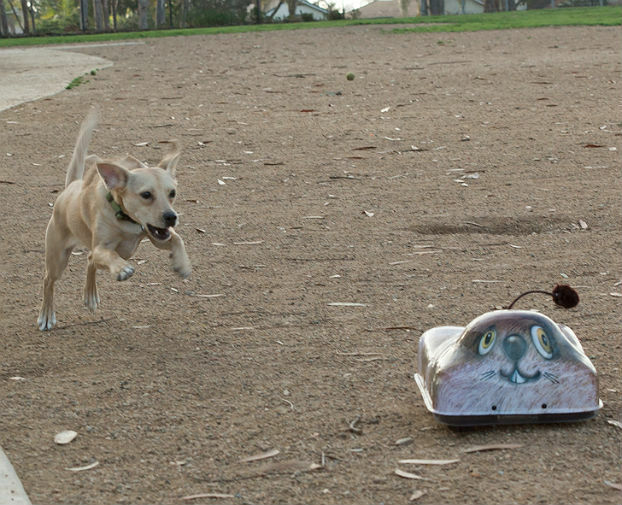 The casing is made from lightweight, durable material able to withstand excited dog’s teeth. It comes in a variety of patterns which look like various chase-worthy animals, including squirrels, turtles, rabbits and porcupines. 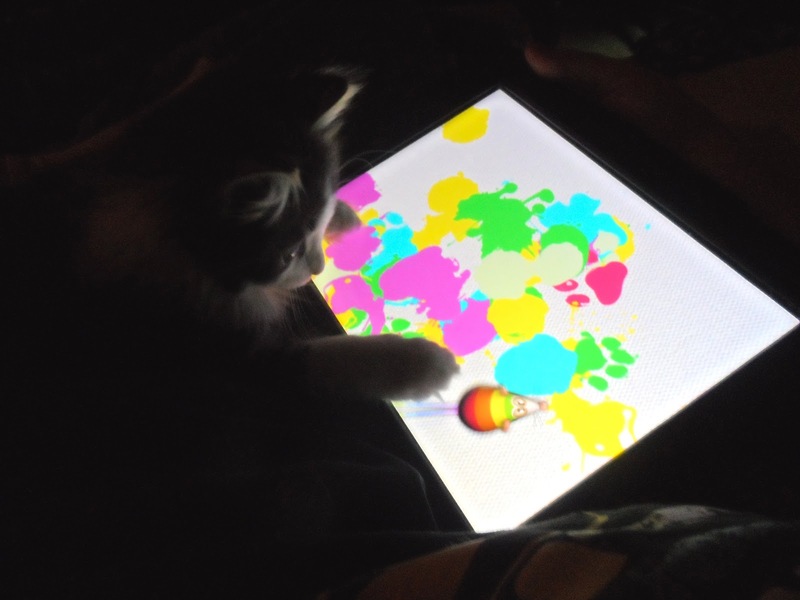 For the ultimate futuristic pet plaything, look to Apple’s Ipad. The Friskies Jitterbug app causes creepy crawlies to jump and skitter across the screen for your kitty to bat. Your cat can ‘win’ if it smacks all of the bugs and move to the next level. Cat Toys Lite let your cat hunt a mouse and Cat Fishing allows them to paw at goldfish in a digital pond.